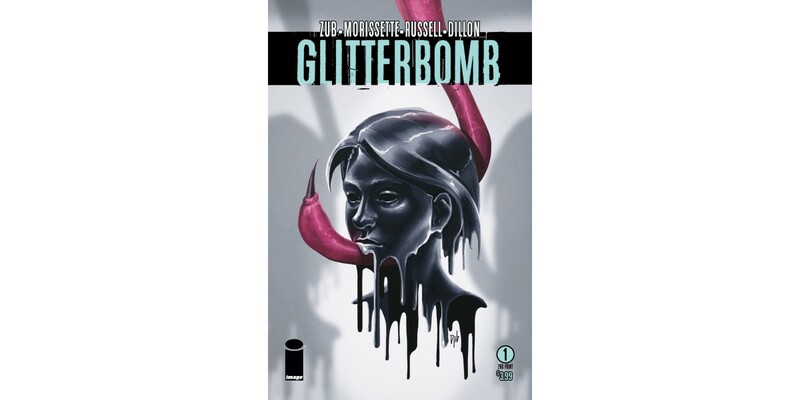 Image Comics is pleased to announce GLITTERBOMB #1 by Jim Zub and Djibril Morissette-Phan is being rushed back to print in order to keep up with demand. The explosive new series is the story of Farrah Durante, a middle-aged actress hunting for her next gig in an industry where youth trumps experience. But the shallow, celebrity-obsessed culture she’s drowning in isn’t the only problem—her frustrations are a powerful lure for something horrifying out beyond the water…something ready to strike. GLITTERBOMB #1 remains available for purchase across all digital platforms, including the Image Comics website (imagecomics.com), the official Image Comics iOS app, Comixology’s website (comixology.com), iOS, Android, and Google Play. GLITTERBOMB #1, 2nd printing (Diamond Code JUL168779), GLITTERBOMB #2 Cover A by Morissette-Phan (Diamond Code AUG160629), and Cover B by Marguerite Sauvage (Diamond Code AUG160630) will be available on Wednesday, October 12th. The final order cutoff for retailers is Monday, September 19th.